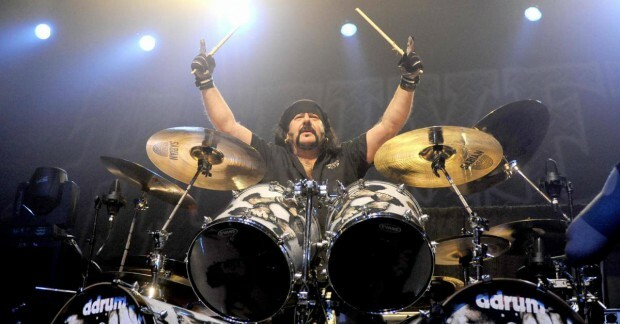 The death of Pantera co-founder and drummer Vinnie Paul Abbott on June 22 shook not only the metal world but also the entire music world. Thirteen years after Vinnie witnessed the shooting of his brother, Pantera co-founder and guitarist Dimebag Darrell on stage during a Damageplan show, the brothers have now been reunited in heaven. Pantera’s influence on heavy metal and music in general is immeasurable and will be forever lasting, and one of the reasons for this is the musicianship, chemistry, mutual respect, love of life and supreme understanding of that heavy groove both Vinnie and Dimebag created; a legacy they can truly call their own. The second half of Pantera’s career, when Phil Anselmo joined on vocals, is when the band really began to take off with Cowboys From Hell and then every subsequent album until their final album Reinventing The Steel. This part of the band’s catalogue is brimming with sheer musical excitement and excellence, driven predominately by the Aboott brother’s groove and whilst it would be useless to point out tracks that stand over the rest, there are some that focus more on the groove than others. ‘Mouth For War’ is as anthemic as it is groovy and catchy, ‘War Nerve’ is another rolling groove thanks to both Vinnies drums and Dimebag’s guitars weaving amongst each other like two snakes coiled together. But when the brothers wanted to create the heaviest, tearing and frantic music that just makes you question what you thought was possible with a guitar and set of drums they did with tracks such as ‘Suicide Note Pt. II’, ‘Use My Third Arm’, ‘Strength Beyond Strength’ and ‘Primal Concrete Sledge’. If you haven’t yet, definitely re-watch all of the Pantera Home Video series for a reminder of how much the brothers loved having fun and, of course, partying hard.